Dental implants are known as replacement of artificial tooth-root or entire tooth which is implanted surgically in lower or upper jawbone. A dental implant is generally made of material such as titanium or zirconium which are surgically placed into the mouth gums. Once the implants are placed into the jawbone, they allow the dentist to mount the replacement teeth over them. According to the World Health Organization (WHO) 2016, approximately 150,000 cases in the U.S. were filed to suffer periodontal diseases. Moreover, According to the National Center for Health Statistics, in 2011 and 2012, approximately 91% persons in the U.S. with the age of 20 to 65 years had dental caries in their teeth. Thus, dental implants provides an alternative for people who have lost their tooth due to periodontal diseases, injuries or others. Similar to natural teeth, dental implants are durable, stable, and accessible in different sizes as well as shape. Increasing medical tourism and growing consciousness for oral care boosts the dental implants market. The global dental implants market is primarily driven by factors such as increasing demand for preventive and cosmetic dental procedures, rising awareness for oral care, growing geriatric population and technological advancements in the implant materials. Moreover, high cost of dental implants surgery in the developed economies such as the U.S. and the U.K. supports the growth of medical tourism in different portion of the world including India, China, Malaysia, and Costa Rica where the dental implant is at the economic expenses. In addition, rising prevalence of tooth loss due to accidents and periodontal diseases, availability of high-quality dental infrastructure and products, and increasing number of dentists offering dental implants, further propelling the growth of the global dental implants market. However, reimbursements issues, high cost for dental implants, and risk of total tooth loss associated with dental bridges and implantation are some of the factors hampering the global dental implant market. The global Dental Implants market is segmented on the basis of implant procedure, material, type of population, end user, and geography. Geographically, the global dental implants market is categorized into North America, Europe, Asia Pacific, Latin America, and Middle East & Africa. 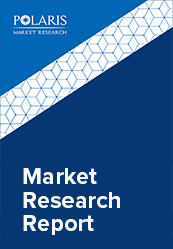 Technological advancement in dental implants and favourable reimbursement policies to lead the global market in Europe. On the basis of geography, Europe is expected to dominate the global dental implant market over forecast period. According to Europa, over 25% of the population in Europe is anticipated to fall below geriatric age group by 2020-2021. Consequently, rising geriatric population requiring dental care is one of the major factor driving the market in this region. Furthermore, rising awareness for self-care, favourable reimbursement scenario, and increasing government expenditure towards healthcare are another factors developing lucrative dental implant market in the Europe. However, Asia Pacific is expected to dominate the market in the forecast period. Increasing number of dental implants procedure at economic costs in countries such as China, India, and Japan is the major factor anticipated to govern the global market during upcoming years.